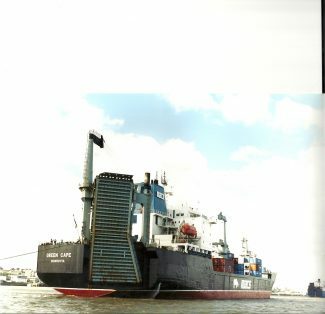 The ro-ro vessel GREEN CAPE. She has been owned by Macs Marine Carriers since 1994 but has had 8 previous names since being built in 1981. 21,826 grt. I took this photo from the tug PORTWEY.